This area is only for paying ROS dues! Please do not pay VOA dues here. ROS dues vary depending on age - see below. 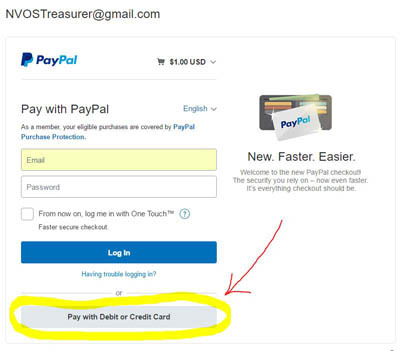 To pay via Credit Card (if you do not have PayPal account or would rather pay via a different card) chose the option that says "Pay with Debit or Credit Card"